Obituary – McLemore, Eldon Monroe « Perry High School Alumni Association, Inc.
Class Assemblies 50-54; Wrestling 50-54. 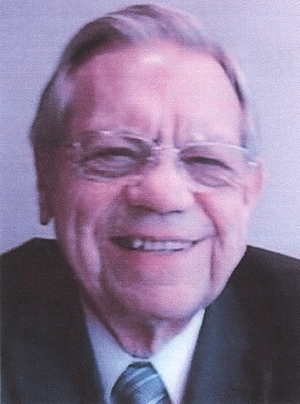 Eldon Monroe McLemore, 79, former manager of Garnett Auto Supply, passed away December 29, 2015. 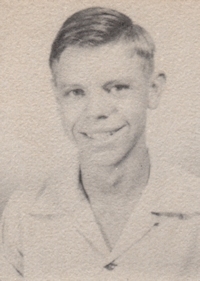 Eldon was born to his parents Sylvester Adison (Nina) McLemore in Perry, Oklahoma. On June 26, 1960, he married the love of his life Ann. Eldon was a family man and enjoyed spending time with his wife and four children. They spent their vacations camping and fishing or traveling to state parks to learn the country’s history and family heritage. He would travel in his lifetime to all 50 states at least once. Eldon was a devout Christian, active his entire life in church and was a longtime member of Bethel Life Center. There he served as a Deacon, helped with Vacation Bible School, as well as Wheat State Camp where he enjoyed helping and teaching children. He attended and completed the Ministry Program at Global University, and in 2002 he realized his lifelong dream of being a minister when he became an Associate Minister of the Assembly of God in Williamstown, Kansas. He was also involved in his community. Eldon worked with Model Cities, a government program that helped to better neighborhoods, and was a member of the Full Gospel Businessmen. He also took time to enjoy the little things in life like having ice cream and spoiling his dog Cee Cee. He was a loving husband, father, grandfather and great grandfather and will be dearly missed. He is preceded by parents, and brother, Darrell Eugene McLemore. He is survived by wife of 55 years, Ann McLemore; daughters, Eldonna (Curtis) Deer, Melissa (Jeff) Day, and Dana (Michael) Minson; son, Tim (Pam) McLemore; brother, Verl David (Kay) McLemore, Stillwater, OK; sister, Vesta (Jim) Axtell, Ripley OK; 14 grandchildren and 2 great-grandsons. Funeral service 2:00 PM Tuesday, January 5, 2016 with visitation 1 hour prior at Bethel Life Center. Memorials may be sent to Wheat State Camp AGK Ministry Network in Augusta.